Do you crave adventure? The fresh air, the wide-open expanses, and the limitless freedom – all without leaving city limits? Honda wants to make a thing for that too. 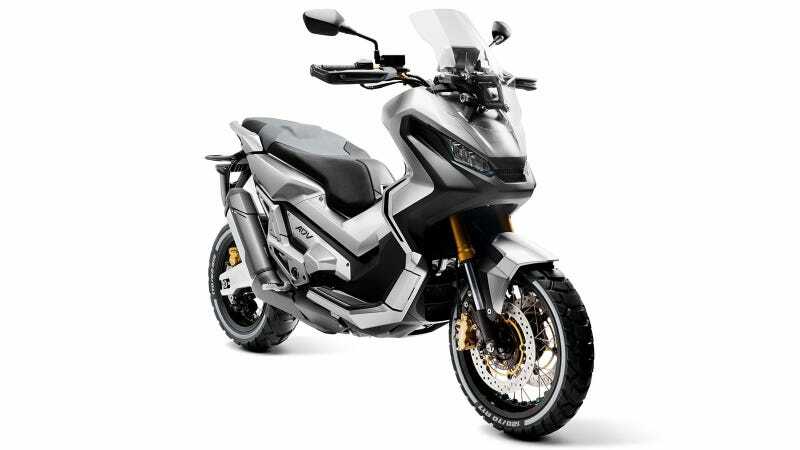 It’s the Honda City Adventure Concept, and it’s an ADV take on the clutchless lifestyle. The hardware is beefier spoked wheels, knobby tires, hand guards, and a higher exhaust. What this unlocks is all of your paper boy fever dreams. May you ride through the city shiny and chrome, one had on the gas, and one grasping a silver can of spray paint - ready to assault all those who question your place in traffic hierarchy. Jungle gyms shall be slalomed. Dogs shall whimper, mailboxes be stuffed. Park anywhere and everywhere. Cut through sidewalks, lawns, and stairs. No more shall the scooter be looked down upon as a mode of transportation. You are the bringer of coffee and ice cream cones. Long may you reign in front of your latest fast fashion expedition to get a cute, new outfit for Friday night. You are the one they call Maxine. And the Honda City Concept could be your new urban adventure throne. Seriously though, the “have to ride this” vibe is strong. This thing was made with Macklemore’s Downtown in mind, and there isn’t a day I don’t wish I’d been in that video. It may have a limited audience, but Honda should build this just because it’s awesome. Remember, this is the brand that built a motorcycle just to fit Ina trunk. Also remember, every brand needs a scrambler. See the rest of the bikes released this week with our EICMA 2015 coverage here.